Exciting news! B105 pulled some strings so that the final winners of Country Christmas Ticket Party passes will also win a pair of tickets to see Old Dominion at Amsoil Arena. Old Dominion will be in Duluth on Saturday, December 15 with Michael Ray and High Valley and every party pass winner between Wednesday, December 5 and Monday, December 10 will also will also instantly win a pair of tickets to that show at Amsoil Arena. It's a special treat from the guys in Old Dominion, who had already provided tickets to their show to give away at our party. 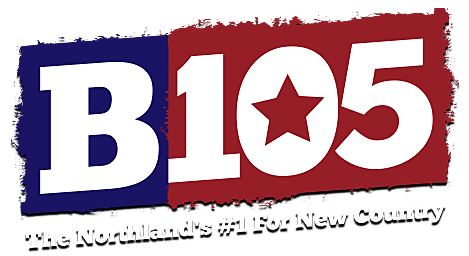 At the B105 Country Christmas Ticket Party, we'll also be giving away 3-day passes to WE Fest, Dierks Bentley tickets, Kelsea Ballerini / Brett Young tickets, $500 cash, Super One gift cards and the grand prize trip for two to Nashville, courtesy of the Duluth International Airport. The Duluth International Airport and B105 have an amazing 4-day / 3-night charter trip to Nashville. Ken Hayes and his wife Shawna will be hosting this direct flight from Duluth to Music City with Sun Country Airlines. The trip takes place from May 17 - May 20 and one price gets you round trip airfare, hotel and ground transportation to one of the most fun cities in America. Remember to use the code B105 when you book your trip. Our grand prize winner at the B105 Country Christmas Ticket Party and a guest will get to go on the trip. Listen for plenty of chances to win party passes, including every hour with The Breakfast Club.